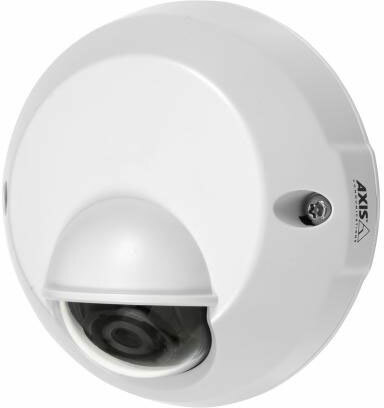 Designed for placement near building entrances to strengthen security, the palm-sized Axis M3114-VE Network Camera is a cost-effective, ultra-discreet fixed dome for monitoring outdoor entrance areas of stores, restaurants, hotels, banks and offices. The camera is vandal-resistant and can detect tampering attempts such as blocking or spray-painting. The camera can operate in temperatures from 50 degreesC (122 degreesF) down to -20 degreesC (-4 degreesF). The UV-resistant casing comes with a weather shield for protection from sunlight, rain and snow. Models without the weather shield, which provide a greater tilt range, are suitable for semi-outdoor, ceiling-mount installations where the shield is not required, such as in a cold storage room or under a porch. Naturally they can be used indoors as well. The Axis 0413-001 is also known as AXC-0413-001	or 0413001	.